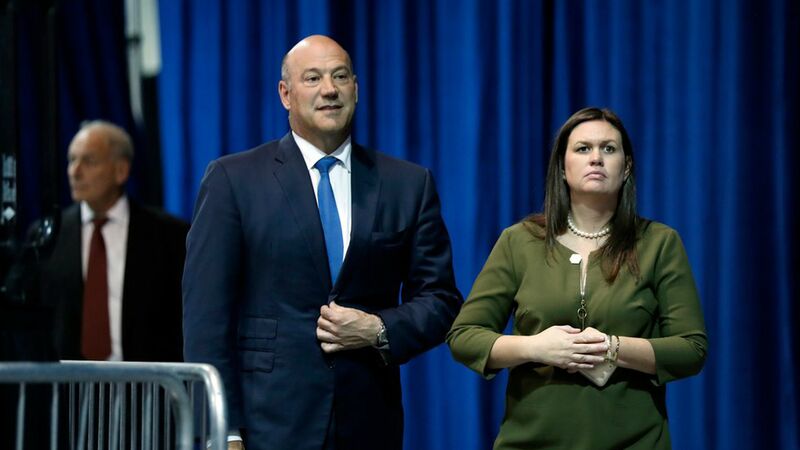 White House financial advisor Gary Cohn dodged reporters' questions Thursday about whether the new GOP tax cuts would benefit Trump and his family, instead saying "I think what the American people are concerned about their own financial position." "Our plan is based on lowering rates and expanding the base. It's very simple if you think of what we're doing." Tax deductions: "People don't buy homes because of the mortgage deduction." A "typical family" with $100k income and two children can expect $1k in tax cuts under this framework. "Don't look at any one piece. Look at the plan in its entirety." On 20% corporate tax rate: "If they want to counter on something lower, we're very open." On reports that the federal response to Puerto Rico has been slow: "The coverage is giving the appearance that we're not moving fast-enough," but said in reality the media is just behind in showing their response. On Jones Act: Bossert said there were plenty of US-flag ships to deliver relief to Puerto Rico, so waiving the Jones Act wasn't necessary, rather Trump did it proactively. He added that complaints of the government not waiving it sooner are "unfounded." Bring power back to Puerto: Bossert says Army Corps engineers took charge of restoring power in Puerto Rico yesterday. Message for Puerto Rico: "We are praying for you. We are working for you. We will not let you down." On Tom Price's private jet use: "As the president said yesterday, he's not thrilled." Added that the WH is conducting an internal inspection and general review of his charter flights. Have Jared or Ivanka taken a private jet since entering the WH? "I'm not sure about those two specific individuals." On Roy Moore's controversial remarks: "We don't agree with those comments." Trump vs. NFL: Trump's "not going to back away" from this. When told that many NFL players are still upset, Sanders replied, "So are many Americans. There are far more Americans than there are NFL players."